Made this last night for Thomas and he absolutely loved it!!! It’s one of those dishes that taste amazing and is kind of like a comfort meal, plus it is amazingly easy to make! Especially for us vegetarians! Begin by preheating the oven to 425. 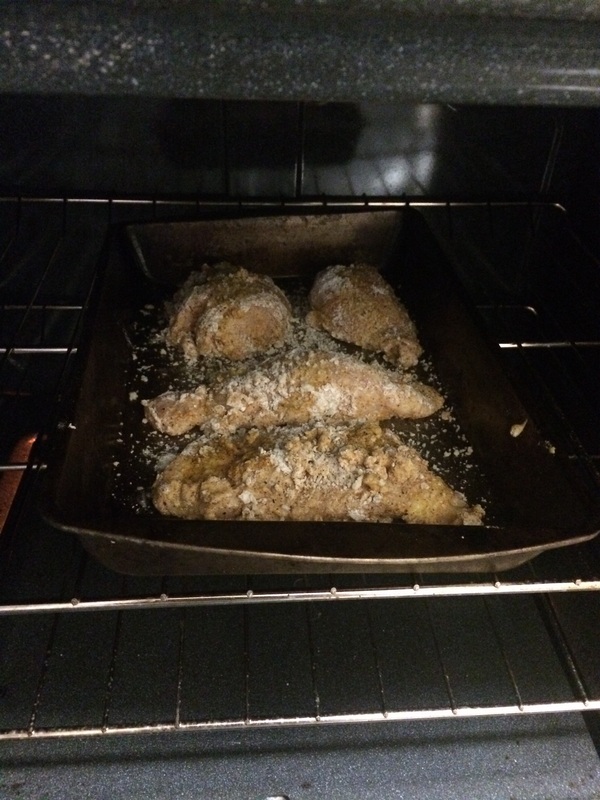 Their chicken by first cutting it with the egg wash and then cutting it with the flour mixture. Sprinke a bit of panko breadcrumbs on top and place the chicken onto a buttered pan. Can you do the same thing with the rest of the chicken breast and then drizzle a bit of butter on top of all of them once they are all aligned. One bowl, combine pancake flour, salt, pepper, paprika, and garlic salt. Whisk together with a fork. In another bowl, lightly beat two eggs. 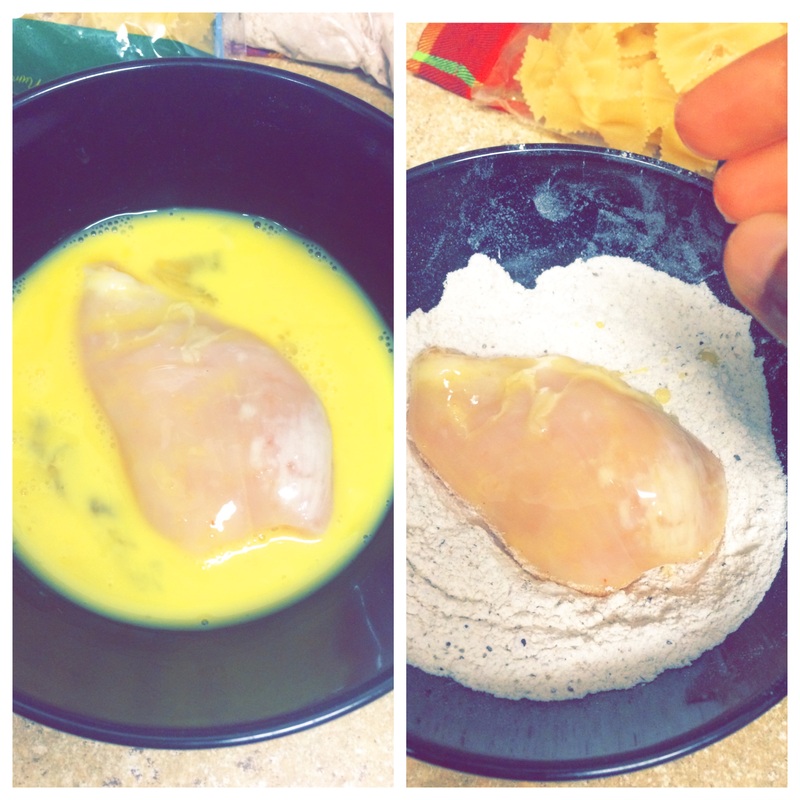 Take one chicken breast and place it in the egg wash, coding the whole breast. Then place it into the flour mixture and toss around until completely coated. Sprinkle with a bit of Panko breadcrumbs and place into a buttered pan. Into a 425° oven and leave it in there for about 15 to 17 minutes. Leave in there for another two minutes after turning off the oven. Take them out of the oven and let stand for a minute, then serve. 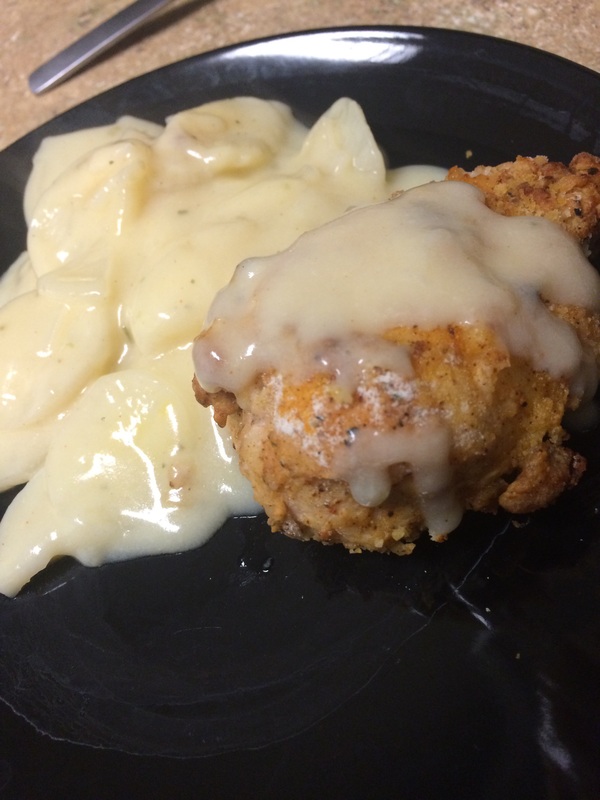 side note: serve with mashed potatoes or creamy scalloped potatoes …super yummy!